The performance “Under Sail” took place on the 8th floor of the museum MAS, with a view on the city and the port. The students of the kunstZ academy were presented the results of the workshops in a multidisciplinary installation. The Museum aan de Stroom (MAS; Dutch for: Museum at the river) is a museum located along the river Scheldt in the Eilandje district of Antwerp, Belgium. 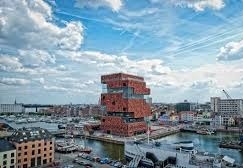 It opened in May 2011 and is the largest museum in Antwerp. The MAS is a ground-breaking museum that tells the story of the people, the past, present and future of the city of Antwerp and the world. This entry was posted in PARTNERS on April 20, 2015 by Weronika Chinowska. This seminar was provided a platform for a dialogue between the artists, cultural practitioners and researchers as well as a group discussion which were discussing the myriad dynamics of working with an din a diverse society. Diversity in urban areas presents specific challenges and opportunities, particularly in the arenas of social integration, solidarity and culture. Are top-down policies in these domains better equipped to facilitate social harmony in these areas or is a bottom-up approach more conducive to congruous living amidst diversity? 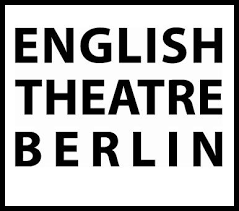 English Theatre Berlin | International Performing Arts Center is the German capital’s only producing and presenting organization in the Hauptstadt expressly dedicated to English, the 21st century lingua franca, as the working language. Our year-round programming comprises the Producing Series – Made in Berlin (in-house productions), the Presenting Series (selected international productions and work from Berlin’s independent performing arts community), as well as our Performing Series(concerts, comedy and more from Berlin’s English performing arts community) andPedagogy Series (cultural and drama education). We are a proud member of Berlin’s freie Szene, the independent performing arts community, and are currently developing platforms to share our work within Germany and abroad. We consciously use theater and performance as living, discursive forms to bring artists and audiences into conversation with each other about our shared city and the greater world we live in. English Theatre Berlin | International Performing Arts Center receives funding from Regierender Bürgermeister von Berlin, Staatskanzlei für Kulturelle Angelegenheiten. This entry was posted in PARTNERS on April 19, 2015 by Weronika Chinowska. kunstZ is a community art organisation focused on employing, engaging and training minorities of Antwerp into the cultural field. Together with the participants kunstZ produces theatre and performances. KunstZ is also a platform for the participants to find employment in the cultural field of Antwerp and Flanders. Last but not least KunstZ has an academy, a theatre-training program for immigrants and foreign-speaking newcomers. It will be the students of the academy who will participate in the “City Ghettos of Today” project. This entry was posted in PARTNERS, Uncategorized on November 24, 2014 by Weronika Chinowska. The MAS | Museum aan de Stroom – a landmark on the boundary between the city and the port – is a ground-breaking museum that tells the story of people with diverse mentalities who came from a multitude of backgrounds. The MAS is for those who are curious about the past, present and future of the city of Antwerp and the world. It is a museum for those who want to know more about Antwerp’s place, and their own, in the world. The MAS is a cultural heritage forum that works with various collections and methodologies. It is developing a diverse intramural and extramural programme, the common theme of which involves stories of the river, the city, the port and the world. The MAS works with the public, experts and other partners on both national and international levels. It ensures maximum accessibility and involvement of the general public. This entry was posted in PARTNERS on November 24, 2014 by Weronika Chinowska. The Citizens’ Forum’s mission is to build civil society through culture and civic education offered by organisations. The Citizens’ Forum’s vision has been established as follows: By 2013 The Citizens’ Forum SKAF is a competent and recognised player in the field of culture and civic education, that through the training provided by organisations show up in people’s quality of life, in an enhanced communality as well as in cultural development. Central concepts guiding this work are learning, human growth and development. The Citizens’ Forum SKAF is one of eleven actors in the field of liberal, that is, non-formal education provided by organisations in Finland. For its educational work the study centre receives financial support from the Ministry of Education of Finland, based on the Act on Liberal Education. This entry was posted in PARTNERS and tagged civil society, non-formal learning on May 2, 2014 by Outi Korhonen. The Adam Mickiewicz Institute has been telling the world about Poland for over a decade. During this time the Institute carried out promotional projects in 26 countries on 3 continents. Over 4000 cultural events were seen by more than 40 000 000 viewers. The Institute promotes Polish culture abroad and co-operates with other countries. It has shown both Poland’s heritage and contemporary accomplishments in culture. It has been organising presentations of projects made by foreign partners in Poland. What’s more the Adam Mickiewicz Institute initiated and is actively participating in the ongoing debate about culture’s economic potential and international cultural exchange. The Institute carries out international projects which communicate Poland’s positive image; their duration ranges from a couple of weeks to several months. The aim is to create and sustain the image of Poland as the heart of Europe’s culture. The projects comprise exhibitions, theatre plays, classical and contemporary music concerts, as well as film screenings, dance performances and projects for children. The programmes are created in close collaboration with our foreign partners which include artists, curators, culture managers and journalists. This entry was posted in PARTNERS on March 1, 2014 by Weronika Chinowska. Helinä Rautavaara Museum is maintained by the Helinä Rautavaara Ethnographic Museum Foundation, an independent charity. It seeks to advance knowledge on non-European cultures. The museum specialises particularly in cross-cultural interaction and related phenomena and is actively involved in projects related to global education and cultural diversity. 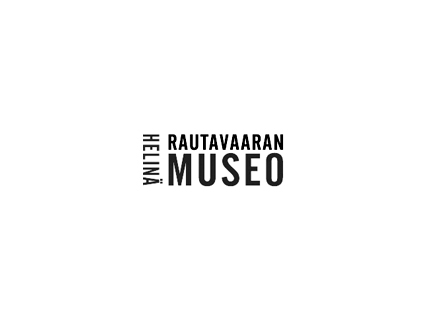 Helinä Rautavaara Museum is the most visited ethnographic museum in Finland with 50 000 annual visitors. In 2008 the museum was a nominee for the European Museum of the Year Award. The museum has conducted a series of succesful outreach programs and community curated exhibitions with vulnerable groups like young immigrants, juvenile asylum seekers, illiterate immigrant women and hiv-positive people . At the moment the museum is involved with first large scale exhibition project concerning the life and traditions of Somalia immigrants in Finland. This entry was posted in PARTNERS on February 16, 2014 by Weronika Chinowska. Cultural Centre Stoa is a lively cultural centre for East Helsinki situated by the metro station in Itäkeskus, next door to the Itis Shopping Centre. Stoa’s programme includes Finnish and international contemporary dance and circus, theatre, music, children’s performances and exhibitions. City of Helsinki Cultural Office is responsible for events at Stoa. Stoa offers its gallery space for the installation of the City Ghettos of Today for the week 37 in 2014, coinciding with an international theatre festival that takes place in the building at the same time. The Producer of the Cultural Centre, Petra Hannus, is also a member of the planning team of the project. This entry was posted in PARTNERS, Uncategorized on February 13, 2014 by Alicja Borkowska. 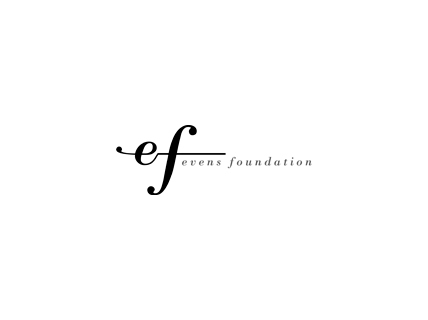 EVENS FOUNDATION is a public benefit foundation based in Antwerp (Belgium) and with offices in Paris and Warsaw. It initiates, develops and supports sustainable projects that encourage citizens and states to live together harmoniously in a peaceful Europe. Its 3 main action domains are European Citizenship, Peace Education and Media. It awards biennial prizes to highlight achievement and good practice in relevant fields. This entry was posted in PARTNERS on February 1, 2014 by Alicja Borkowska. Founded in 1979 , Theatre Academy Helsinki provides the highest education in theatre and dance in Finland, training actors (in Finnish and Swedish), directors, dramaturges, lighting and sound designers, professionals in dance (choreographers and dancers), performance artists, dance and theatre pedagogues. The results of the studies are performed on the stages of the Academy’s training theatre. The Academy also works within research and development in the fields of theatre, dance and performance. Nanterre’s P’Arc-en-Ciel is a social and cultural centre that is open to all residents of the quartier du Parc neighbourhood. It proposes numerous activities: cultural outings, intergenerational workshops, workshops for women and divers initiatives in favour of community solidarity and civic awareness, to name but a few. This entry was posted in PARTNERS on January 31, 2014 by Alicja Borkowska. 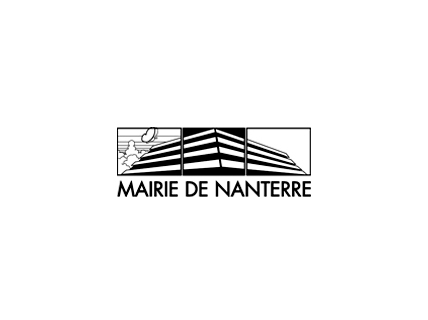 Nanterre’s Town Hall organizes local consultancy services (workshops, neighbourhood counsel and public meetings) which are led by a collective of local elected leaders in charge of the neighbourhood. They also support civic initiatives proposed by associations and local residents, create links between resident demands and local public services and promote social cohesion by organising collective manifestations, such as local festivals. The Musée de l’Immigration’s mission is to collect, safeguard, valorise and render accessible material relating to the Republic’s immigration history from the nineteenth century onwards. In so doing, it seeks recognise integration processes effected by immigrant populations into French society as well as to alter perspectives and preconceived notions regarding immigration in France. The museum associate to the scientific discourse, an artistic, pedagogical and citizen’s dimension. It is along those lines that the Museum invite artists to a productive process of new forms, to share it, and to make its spaces, resources and project their own. Artists and visitors participate actively at the discussion carried out by the institution. 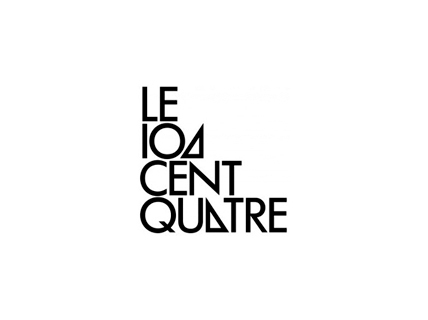 Located in Paris 19th arrondissement and directed by José-Manuel Gonçalvès, the CENTQUATRE provides space for residencies, production and performance for artists and audiences from all corners of the globe. The CENTQUATRE encompasses all forms of art: theatre, dance, music, cinema, video and also culinary, digital and urban art. The vast majority of the centre’s programme is made up of artists who are, have been or are going to be in residence at CENTQUATRE. The centre supports and works with young artists and also provides insight into their artistic creations. Conceived as an artistic collaboration, it provides open access to a range of emerging art through a decidedly popular, contemporary and ambitious programme. It is also a vibrant place with shops and areas dedicated to amateur artistic activities and a space for young children. 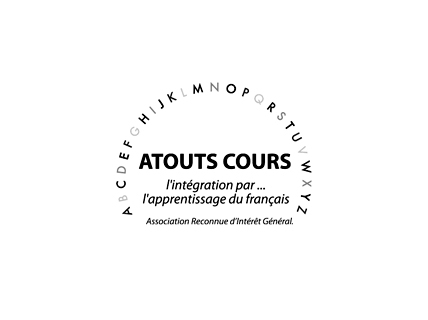 The association ATOUTS COURS offers literacy courses, French language courses (FLE) and socio-linguistic workshops for immigrant populations who have little or no French-language ability. Association representatives are also made available in order to assist these same groups with any administrative processes. Today, the association proposes 75 workshops, of which 2/3 take place in the 18e arrondissement, led by 60 volunteers and attended by 1200 individuals. Cantieri Meticci is one of the main project partners. Based in Bologna and founded by the theater director Pietro Floridia is a group formed by the professional and non-professional actors – Italians and refugees living in Italy. Cantieri Meticci was created as one of the Teatro dell’Argine’s activities in 2005 involving in the theater workshops refugees came to search for the political asylum in Italy. From 2013 the Company works independently as an unique theater company which deals with the migrant themes in the performances of a high artistic quality. 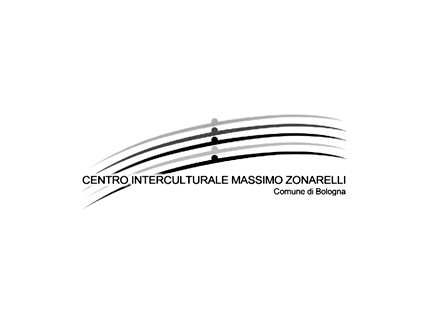 Centro Interculturale “Zonarelli” is a place of the weekly meetings of the intercultural theater workshops of the Compagnia dei Rifugiati – one of the main project partners. “Zonarelli” is a venue open for all the cultural and migrant associations working on the Bologna territory – here they can find a place to realize their projects, workshops, seminars, trainings, mother tongue courses and other events. The team of the project was hosted by the Centro in October 2013 for the kick-off meeting discussions. 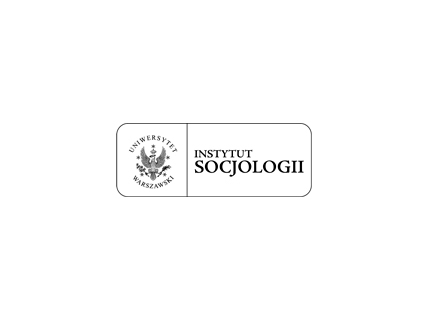 The Institute of Sociology is substantive partner in the project. The Institute provides information, knowledge, and analytical tools for the implementation of the project. It improves the process of gathering materials focused on the problem of migrant ghettos in Europe, which will be used during the research part of the project as well as during the art workshops. The staff of the Institute is actively involved at the preparatory period in the research conducted in the Warsaw districts with a large migrant concentration and will co-organise and co-coordinate the debate part of the project in Warsaw as well as participate in some of the international events in other cities. This entry was posted in PARTNERS on January 30, 2014 by Weronika Chinowska. The Degree Programme in Cultural Management at HUMAK University of Applied Sciences offers courses in the field of arts and cultural administration. In teaching HUMAK highlights the role of civic society and attempts to activate the students to become active citizens. This project gives students and teachers an opportunity to participate in an arts project with similar aims in an international environment. 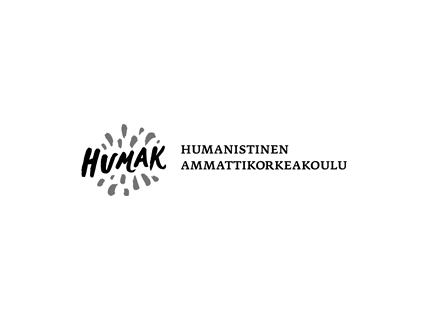 HUMAK is based in the Helsinki area and will be active in organising the workshop, installation, and debate in Helsinki. The students in cultural management will be actively involved in the project especially in the fields of coordination and communication and they will participate in the workshop and debate. This entry was posted in PARTNERS on January 29, 2014 by Weronika Chinowska. The Arts Promotion Centre Finland is an expert agency under the Ministry of Education and Culture. It continues the activities of the Arts Council of Finland, which was founded in 1968. Its task is to promote the arts on both the national and international levels, as well as to promote aspects of culture that are not covered by any other official body. Regional artists work for the good of professional and amateur artists in their local area, carry out project and facilitate forming projects of others. Their work is one of the regional arts councils’ most visible forms of art promotion. Regional artists work in different fields of the art and as producers of art. The project partnership of City Ghettos of Today in Arts Promotion Centre Finland is carried out by regional artist on cultural diversity, Outi Korhonen. At Arts Promotion Centre she offers counselling and networking services for transcultural artists to fund and implement their project plans and also participates in forming projects related to the increasing cultural diversity in the Finnish art scene. Université Paris 8 Vincennes – Saint-Denis, founded in 1968, is the heir to the experimental centre of Vincennes born in the intellectual and pedagogical turmoil that followed in the wake of May ‘68. Since then, the university has been characterised by a desire to promote democratic access to knowledge and education, and has oriented research so as to try and answer the challenges of the modern world. 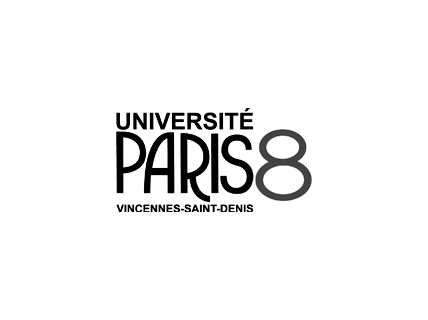 The reputation and influence of Université Paris 8 is also grounded in the international fame of a number of scholars who have held teaching positions in the institution such as Jean-François Lyotard, Michel Foucault, Gilles Deleuze, and Jacques Lacan. Based in Saint-Denis, Paris 8 is attended by students from all around the world. The innovative nature of the research undertaken here can be traced back to the various fields studied. The university became a pioneer in fields as psychoanalysis, urban planning, geopolitics, cinema, gender studies, etc. This entry was posted in PARTNERS on January 28, 2014 by Alicja Borkowska. Belleville Social Centre (BSC) in Paris works in the social development of the 20th district with the population of Belleville area. As a supporter of the French movement of popular education, BSC bases its action on three founding values​​: human dignity, solidarity, and democracy. The Centre is intended as an educational and cultural meeting place offering many activities and entertainment opportunities for families and neighbourhood residents. BSC participates in the fight against all forms of exclusion and defends the policies for social inclusion. BSC promotes adaptation and social integration of minorities through the learning of the French languages and an employment-training program. BSC raises the participation and commitment of people in the local social life by organizing meals and special events to provide social cohesion. 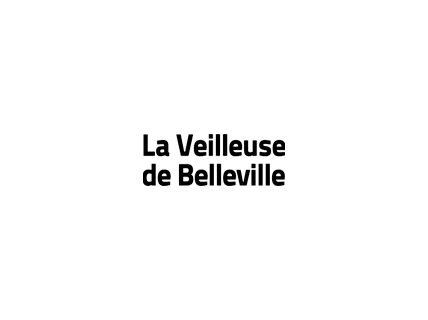 The cooperative “La Veilleuse de Belleville” develops cultural and social activities including discussions/debates, screenings, free use of the kitchen for non-profit organizations, and implementation of a partnership with the neighbourhood’s social centre. It is a cultural centre (coffee-bar-restaurant) which purchases products mainly outside the mainstream providers – fair-trade drinks, small producer’s food, local businesses, and so on. This contributes to creating a friendly and socio-economically involved environment for the area’s inhabitants and associations to meet and exchange. 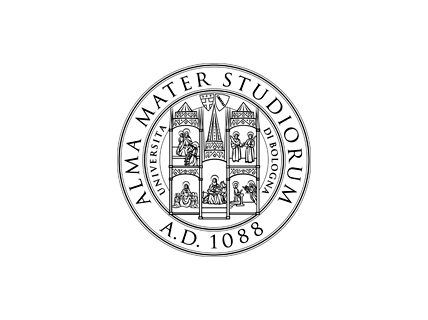 Scuola Superiore di Studi Umanistici (SSSUB) is a Research Institute based at the University of Bologna, founded in 2000 by Umberto Eco, to provide a platform for high level research in the Human Sciences. It coordinates a series of PhD courses and organizes seminars, conferences, and keynote lectures by international renowned scholars. SSSUB’s research staff has also founded the Centre for the Interdisciplinary Study of Cultural Memory and Traumas (“TraMe”), which is dedicated to the research and study of individual and cultural memory genres, places and representations. The Centre contributes to debates on memory and memory studies, a field where these different but interconnected subjects are explored. On these objects and topics the Centre promotes an interdisciplinary approach and tries to meet a social and cultural needs. The researchers of TraMe will be especially involved in the project. Olinda is a voluntary association, created with the aim to close and transform a large psychiatric hospital in the northern suburbs of Milan. Social entrepreneurship, welfare, and cultural activities have changed the area into a laboratory of social, urban, and human innovation for disadvantaged people as well as for citizens of the metropolitan area. Olinda started a social enterprise in an effort to combine services for the city with those for disadvantaged people. Olinda used conflicts within and outside the organization to advance public discourse and raise visibility regarding their decisions and actions. Olinda shows the role of outsiders with new ideas, skills, and social capital and how bringing different types of people together can generate new insights and developments. Sociability and cultural productions can be a turning point in building a shared interest in innovative action, especially in promoting intercultural activities with second generation migrants. “Teatro degli incontri” was created in 2010. It is a team of theatre professionals under the artistic direction of G. Gherzi and is active in Milan’s Via Padova – an urban area characterized by a high concentration of migrants. The aim is to investigate different themes of migrant life in the city and its neighbourhoods and to identify new forms of citizenship involving all social actors – both Italian and foreign. All citizens are called to ask themselves about new possible scenarios of human interactions in metropolitan areas. “Teatro degli incontri” runs theatre workshops for Italians and foreigners, men and women, youth and children. All performances take place in public spaces near the immigrant population. The association is now working on “The Antigone Feast” project and is running workshops for various communities including political refugees, migrant women’s groups, children, second generation migrants, and it hosts of a charity house. The association was founded in Bologna in 1995 by a group of Moroccan migrant workers and local citizens, in order to perform cultural activities aimed to overcome prejudice and reduce communication difficulties between migrants and natives. Its associates are now mostly Moroccan migrant workers and its activities are mostly committed to: small-scale cooperation projects supporting rural communities in Morocco (since 2008, three rural development projects in southern Morocco have been implemented with grants from Emilia-Romagna Region); cultural activities in Bologna based on the lives of migrant workers (since 2009, participated in a 2-year theatre workshops programme run by Teatro dell’Argine and implemented a 1-year workshop of comic storytelling which resulted in publication of a comic book). 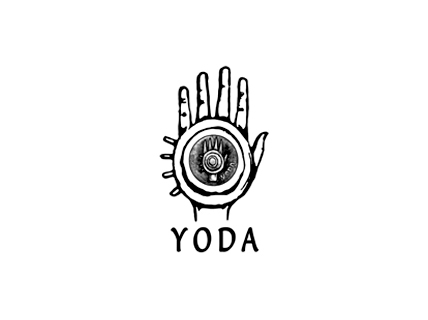 Yoda association operates in the social and cultural sectors and implements various activities and enhances international cooperation projects through voluntary service. The association organizes global education activities in order to promote knowledge about international development among youth and children; it plans, organizes, and implements cultural projects such as concerts, conferences, performances, festivals, ethnic celebrations, meetings and debates, exhibitions, seminars, and answers research enquiries of any kind in order to reach and spread its cultural goals. Most important projects: It.a.cà migrants and travelers is a festival about responsible tourism, exchange project among Italian and Mozambican artists and volunteer camp in Saharawi’s refugees’ camps. 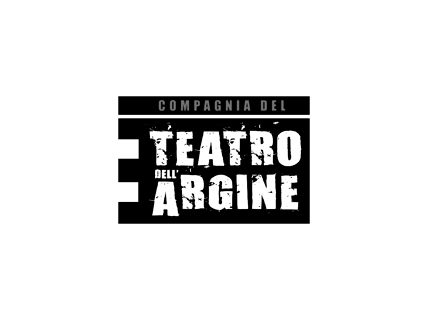 Teatro dell’Argine (TdA) was founded in 1994 with the aim of disseminating drama culture in close dialogue and interaction with the local community as well as internationally. This has been accomplished through various projects, in which culture and art always serve social purposes: Italian and international productions and co-productions of new plays on social/civil issues, drama workshops for children and adults, beginners and professionals, inside and outside schools, theatre projects carried on with youth living in disadvantaged situations such as migrants and political refugees, theatre projects carried on with mentally/physically disabled children, projects aimed at attracting people to theatre, international and EU projects aimed at exchanging methods or for social purposes (e.g. workshops in Palestinian refugees camps or project Crossing Paths). Teatro dell’Argine is supported by Town Council of San Lazzaro, Province of Bologna, Region Emilia-Romagna, and Italian Ministry of Culture. Strefa WolnoSłowa organizes theatrical, artistic, cultural and educational activities focused on intercultural dialogue and themes connected to migration. Through international art projects and interdisciplinary activities involving refugees and immigrants living in Poland, SWS facilitates intercultural dialogue and promotes European integration and human rights. SWS is interested in analysing current events in the world, as well as exploring innovative methods of cultural animation and multicultural education. SWS collaborates with theatres, public administration, schools, cultural centres, and NGOs in Poland and abroad combining in their activities art and social involvement with a focus on the activities that encourage increased participation in cultural and social debates. SWS is a member of the Transeuropa Network – a transnational network of organisations promoting democracy, equality, and culture beyond state borders by organising the cultural events, social campaigns, workshops, and debates. The Institute of Sociology at the University of Warsaw is among the leading sociology departments at Polish universities. Its position is reflected in the number of professors and faculty with doctoral degrees and their track record in research. The Institute conducts theoretical inquiry, methodological, and empirical research in many fields of sociology, with a special focus on transformations of the political system, social awareness, ethnic problems, and problems of minorities in Poland. 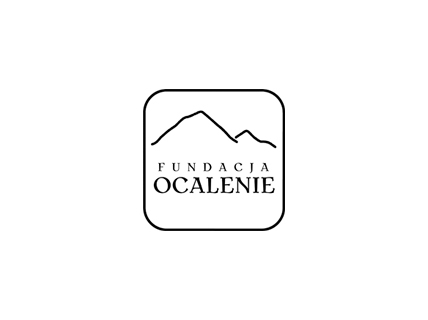 Foundation “Ocalenie” has been founded in 2000. The main aims of its activities are assisting refugees and immigrants on Polish territory (e.g. legal aid, making oral and written translations, assisting in contact with health services, helping with job or flat searches, psychological and social aid, explaining cross-cultural differences); supporting public institutions by consultations, mediations, or organising workshops; cooperating with public institutions and non-governmental organizations working in the field of refugee and immigrant assistance; organising cultural events; participating in researches which monitor the situation of refugees and immigrants in Poland; supporting Polish diasporas and repatriates. The State Ethnographic Museum in Warsaw, founded in 1888, is the oldest museum of its kind in Poland. The Museum collects examples of Polish and international folk culture, which number over 80.000 objects. Permanent exhibitions present the cultures of Africa, Oceania, and America as well as some aspects of Polish culture such as rituals, customs, and material culture. The Museum also organizes temporary thematic exhibitions and has an effective role in scientific publishing, research and promotional activities regarding culture. The Museum has a significant educational and cultural offer addressed to children, youth and adults, it organises workshops, debates, has its own cinema to screen films of artistic and social importance. The main goal of the Foundation is to promote and facilitate integration of migrants in Polish society through education, cooperation, empowerment, and advocacy. The Foundation provides a consultation point, where foreigners can get a consultation on issues of legal stay and work in Poland, Polish tax and social security systems, and details about the labour market. 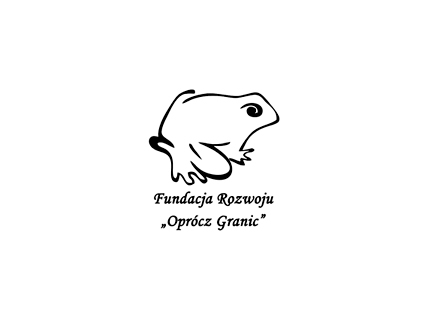 Polish and English language courses are opened for migrants and their Polish spouses/partners. Some of the Foundation’s most important initiatives are cultural activities – film screenings and discussion clubs, theatrical and literary workshops, and common celebrations of holidays. All these activities are open for migrants from all around the world who live in Warsaw. In 2011 and 2012 the project “Be my guest – (not only) Polish lunch” has been organized. The common meal of Poles and foreigners in a family atmosphere is a great opportunity to get to know each other better as well as Polish and foreign culinary and cultural traditions. The theater and performance collective OnElf has been founded in summer 2011 in Berlin. The main interest of the group is to deal with current political and social issues with a site-specific approach, mainly through the participation of “local guests”. It is through their biographies and (true or invented) stories that a new reality is produced. Among their last projects: “Nikolandia. A fairytale expedition in the unknown Mitte” (Transeuropa Festival, Berlin 2013), “Heimat Asyl” (Festival 48 Neukölln, Berlin 2012). This entry was posted in PARTNERS on January 28, 2014 by Weronika Chinowska. National Theatre of Finland cooperates with the City Ghettos of Today –project especially related to a project of the theatre called Reittejä Kontulaan – Routes to Kontula. The participants of the project will have a possibility to continue with different art and theatre activities in the City Ghettos of Today -project. In Reittejä Kontulaan a theatre play is created based on history and actuality of the citizens in Kontula Region in cooperation with the theatre professionals of the National Theatre and citizens living in Kontula, which is one of the culturally diverse areas in Eastern Helsinki. At the moment this area is living an interesting period of cultural. The artistic director of the project is Eveliina Heinonen who partipates in the planning team of the national project. http://reittejakontulaan.blogspot.fi. National Theatre offers also space for the project´s public debate in Lavaklubi,located in the basement of the National Theatre. Pacunet Palace and Cultural Network gathers together an intercultural group of artists and theatre enthusiasts with rich presence of members with African and Asian background. During the year 2014 the organization creates theatre plays that treat themes of ethical conflicts that rise when migrants who come to Finland from culturally distant countries have to rebalance their moral positions between very different cultural values of the countries of origin and Finland. Directed by Walter Fondo, Pacunet opens through theatre also difficult and provocative themes of discussion including practices like circumcision and polygamy. 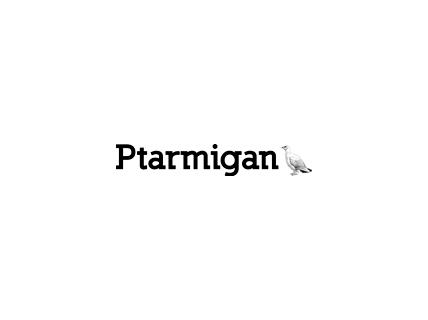 Ptarmigan is a non-profit initiative to house projects that exist outside of the realm of the traditional. It seeks to provide space for adventurous and challenging scenarios, whether it be performance, visual art, sound, interactive work or other ideas. At the moment, Ptarmigan is functioning as a mobile curatorial project. Ptarmigan is actively involved in the Ghettos-project through the work of Marek Pluciennik, one of the assocaition´s board members. Ptarmigan has also the role of administrating the external funding of the project in the national level. 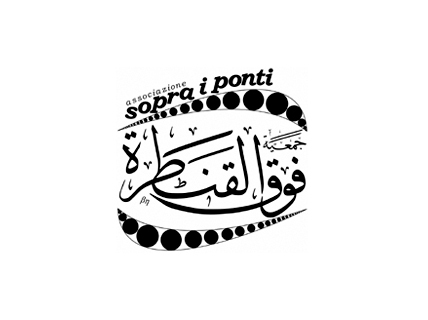 Founded in Paris in 2013, Check Ponts is a multidisciplinary theatre company that brings artists and project organisers together in order to create performances that unite professional artistic practice and engaged social action. company’s first creation, “L-Usine” (“The Factory”) [Oct 2009], directed by Artistic Director Linda Fahssis, enabled company members to experiment with this socially engaged approach to theatrical creation, most notably by exploring themes related to violence and unhealthy power relationships within the workplace. Since its creation, the company has similarly evolved alongside a close-knit international network of collaborating artists and organisations with whom it has elected to launch its latest creative project, “The City Ghettos of Today”, a European collaborative performance installation that will develop progressively over a two-year period between 2013 and 2015. 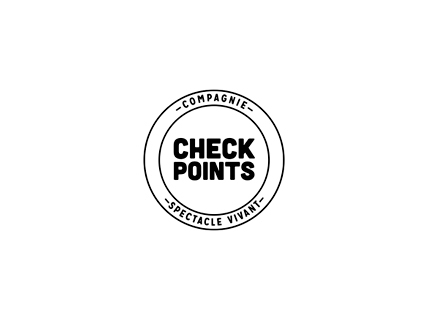 In 2013, Check Points also lead an amateur creation project that was supported in large part by the European Commission’s programme Youth in Action, a funding programme that enabled the company to create a European platform for amateur theatre artists that was entitled « Migrating theatre-Varsaw ». This project gave rise to another collaborative creation entitled “Koniec Titanica”, which was performed in Warsaw’s Studio Theatre Koloon 14 April 2013. Its next incarnation will take place in 2014, when the project will be performed in Paris in collaboration with the Théâtre de l’Aquarium in the Cartoucherie in Vincennes. In addition to their professional theatre creations, Check Points also actively develops amateur theatre workshops. However, far from remaining separate from the company’s creative endeavours, these workshops encourage participants to become « co-generators » of the company’s performances. In this vein, workshop organisers seek to create collaborative works by placing both amateurs and professional artists at the heart of their processes of theatrical research. Among others, the company leads workshops with refugee communities residing in emergency residences in Pantin, as well as with young adults at the Centre social et culturel la Maison du Bas-Belleville, French-language students of the association AtoutsCours in Paris and high school students in the Paris region in partnership with Cémea in Ile-de-France. European Alternatives is a transnational membership organisation promoting democracy, equality and culture beyond the nation state. The nation state is no longer the appropriate political form in which to define democratic decision-making and active citizenship, equality between people, the respect and extension of rights. Through the launch of campaigns, the organisation of Festivals and many other different forms of political and cultural activism European Alternative looks for other forms of participation and collective action. European Alternatives is structurally based on a dense network of local groups, spread in numerous European cities. European Alternatives Berlin was foundes in 2009 and it has contributed since then with several events to the cultural life of the city. This entry was posted in PARTNERS on January 28, 2014 by Wawrzyniec.